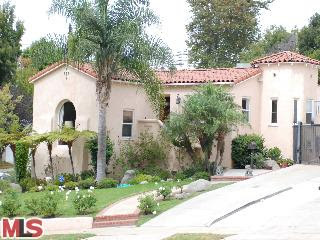 2106 Manning LA CA 90025 came on the market 8/14/09 with an asking price tag of $1,089,000 and received multiple offers. One offer was accepted 13 days after coming onto the market on 8/27/09. The home closed on 9/25/09 for $1,075,000. According to the MLS, the home is a 3 bedroom / 2 bath, 2,127 sq ft of living space on a 6,750 sq ft lot. The home has been mostly remodeled and is in move in type condition. 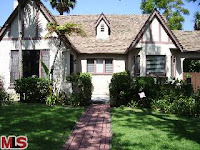 The Westwood traditional home at 10660 Rochester Ave., LA CA 90024 lasted 52 days on the market before receiving an accepted offer on 9/3/09. The home was listed on 7/13/09 for $1,525,000 and received three small price reductions during the listing term. The home closed on 9/29/09 for $1,417,500. According to the MLS, the home is a 3 bedroom / 2.5 bath, 2,000 sq ft of living space on a 6,500 sq ft lot. The home has been completely remodeled and is in move in condition. 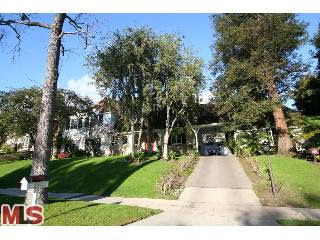 The home at 10658 Ohio Ave., LA CA 90024 received a price reduction this week of 3.52% or $51,000, down to $1,450,000. 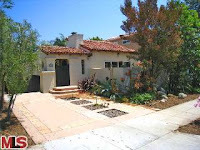 Listed 82 days ago on 7/8/09 for $1,450,000, this is the first price reduction of the listing term. According to the MLS, the home is a 3 bedroom / 2.5 bath, 2,100 sq ft home on a 6,500 sq ft lot. The Westwood Little Holmby home at 927 Westholme Ave., LA CA 90024 received a price reduction this week of 11.12% or $289,000, down to $2,310,000. 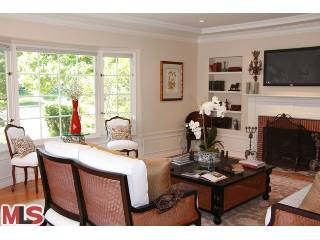 The home was listed 154 days ago on 4/27/09 for $2,599,000 and this is the first price reduction of the listing term. According to the MLS, the home is a 5 bedroom / 5.5 bath, 4,012 sq ft of living space on a 11,238 sq ft lot. 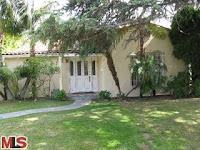 The Little Holmby fixer at 225 Loring Ave., LA CA 90024 lasted 58 days on the market, receiving an accepted offer on 7/16/09. 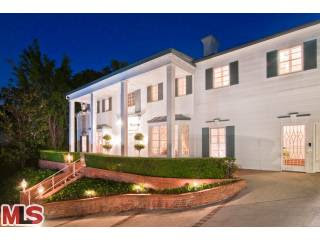 The home was listed on 5/5/09 for $3,495,000 and had one price reduction during the listing term. The home closed on 9/24/09 for $2,975,000. This house is a prime candidate for someone wanting to remodel a grand house in a prime neighborhood. The house has a nice floor plan with big sized public rooms and bedrooms. According to the MLS, the home is a 5 bedroom / 5.5 bath, 4,830 sq ft of living space on a 13,934 sq ft lot. 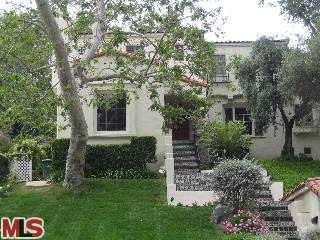 The Westwood home at 2151 Selby Ave., LA CA 90025 lasted 49 days on the market and went into escrow on 8/6/09. 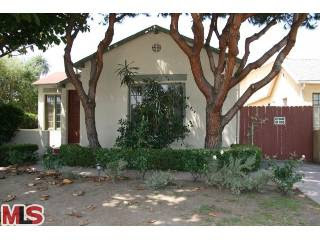 The home was listed on 6/18/09 for $749,000 and had one price reduction during the listing period of $20k. The home closed on 9/22/09 for $703,000. According to the MLS, the home is a 2 bedroom / 1 bath, 1,285 sq ft of living space on a 5,400 sq ft lot. This home was located on the busy corner of Olympic and Selby. 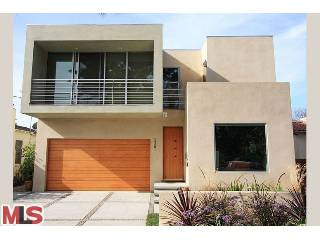 The Spanish home at 10447 Wilkins Ave., LA CA 90024 received a price reduction of 2.97% or $55,000, down to $1,795,000. 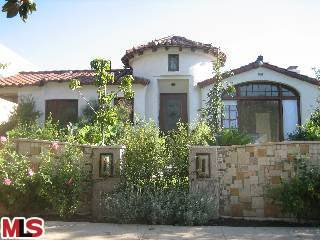 The home was listed on 11/20/08 for $2,195,000 and has been on the market for 118 (+47) days now. According to the MLS, the home is a 2 bedroom / 2.5 bath home, 0 sq ft and 0 sq ft lot. 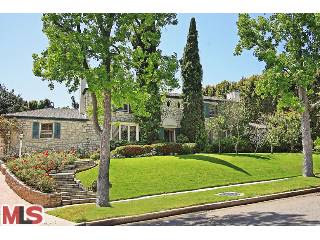 The Westwood traditional at 10326 Strathmore Dr., LA CA 90024 received a price reduction of 14.36% or $545,000, down to $3,250,000. Additionally, the property is now being disclosed as a short sale. The large price reduction is most likely to elicit action right away to get an offer to take to the bank. As with most short sales, the banks will not start the process until an accepted offer is in hand. 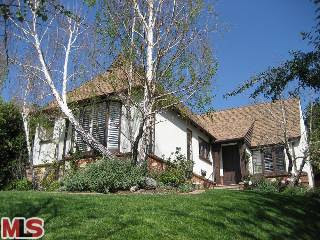 The home has been on the market 118 (+176) days as of today and started with an asking price of $5,595,000 on 12/2/08. This is the 2nd price change during this second listing period that started 5/25/09. According to the public records, the home is a 5 bedroom / 7 bath, 4,610 sq ft home on a 14,984 sq ft lot. Now, since the MLS has stated 0 for the house sq ftg. and states 4 bedrooms / 5.5 baths, its possible that there have been some additions and changes and they don't want to quote the sq ftg according to the assessor. So this is one of those buyers to investigate items. 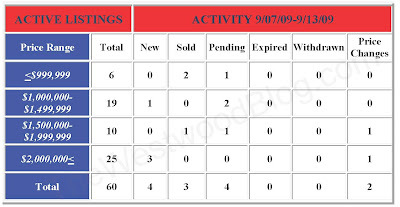 This report is for Monday 9/14/09 through Sunday 9/20/09. This newer construction home at 2361 Midvale Ave LA CA 90064 received a price reduction this week of 5.08% or $91,000, down to $1,699,000. The home was listed 196 days ago on 3/6/09 for $1,999,000 and this is the 3rd price reduction of the listing term. According to the MLS, the home is a 5 bedroom / 4 bath, 3,728 sq ft home on a 6,480 sq ft lot. The home features an architectural style facade and continues inside the house with clean lines and very contemporary finishes. Even though the house is close to 4,000 sq ft, you still have some backyard lawn space. 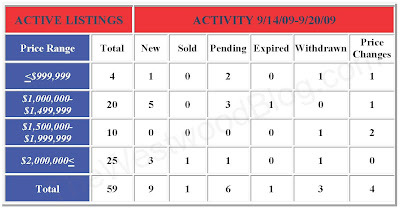 This report is for Monday 9/07/09 through Sunday 9/13/09. The Westwood Little Holmby traditional at 260 Loring Ave., LA CA 90024 lasted 203 days on the market before receiving an accepted offer on 8/17/09. The home came on the market on 1/26/09 with an asking price of $3,295,000. The home closed on 9/15/09 for $2,775,000. According to the MLS, the home is a 4 bedroom / 3.5 bath, 3,491 sq ft of home on a 8,220 sq ft lot. 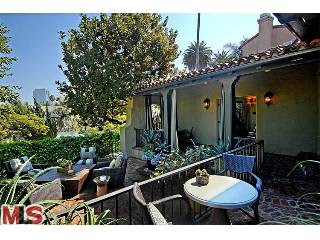 The Westwood Spanish home at 10497 Kinnard Ave. LA CA 90024, came on the market 9 days ago with a price tag of $1,099,000. Kinnard is located south of Wilshire, just a couple blocks north of Santa Monica Blvd. The home is listed and disclosed as a Short Sale, which is where the proceeds from the sale fall short of the balance owed on a loan secured by the property sold. This short sale process has the potential of taking several months at a minimum to get a short sale approval from the lenders. And in this case, there are two loans with two different banks. As of the Brokers Caravan on Tuesday morning, there were 3 offers already turned in and the listing agent expected a couple more. The house has been remodeled throughout with the gourmet kitchen being one of the strong points of the house. The kitchen is open to the dining area and breakfast nook and features stainless steel appliances (Sub Zero Fridge, Dacor double ovens, Bosh dishwasher), newer cabinetry and granite counters. According to the MLS, the home is a 3 bedroom / 2.25 bath, 1,705 sq ft of living space on a 7,318 sq ft lot. The house at 2316 Overland Avenue received a price reduction of 1.96% or $15,000, down to $750,000. The property was listed 41 days ago on 8/6/09 for $765,000. According to the MLS, the home is a 2 bedroom / 1 bath, 1,280 sq ft home on a 7,020 sq ft lot. 5th And Final Reduction For 1318 Holmby Ave To Get It Sold? The Westwood Country English at 1318 Holmby Ave., LA CA 90024 received its 5th price reduction of the current listing term of 5.42% or $80,000, down to $1,399,000. This house was listed 174 days ago on 3/23/09 for $1,685,000. According to the MLS, the home is a 3 bedroom / 3.5 bath, 2,320 sq ft on a 6,500 sq ft lot. According to the MLS, the owner is motivated.. and the house has been remodeled throughout with updated electrical, copper plumbing and a newer roof. 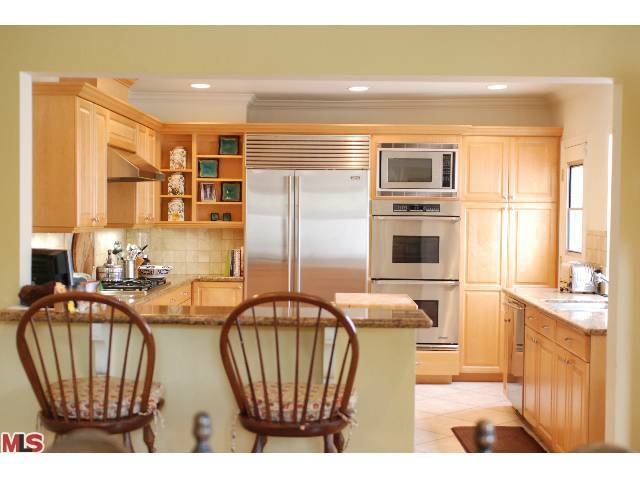 The house also has a newer remodeled gourmet kitchen and baths. Now priced at $1.399 for a remodeled 2,300+sq ft house south of Wilshire, do you think this asking price is attractive enough to get an accepted offer in the next couple weeks? 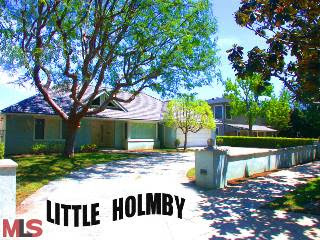 The Little Holmby home at 340 Hilgard Ave., LA CA 90024, received a price reduction of 8.91% or $176,000, down to $1,799,000. The house was listed 40 days ago on 8/6/09 for 1,975,000 and this is the first price reduction of the listing period. According to the MLS, the house is a 4 bedroom / 4 bath house on a 11,200 sq ft lot. There has been some moderate updating to the house since it was built in 1950, however, this house is mostly considered a fixer type house. The home sits on the busy stretch of Hilgard, hence the price discount for the larger lot size. What Did That Westwood Hills Home Sell For? 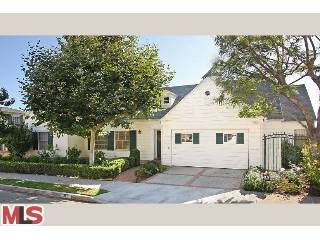 The Westwood Hills home at 251 Denslow Ave., LA CA 90049 lasted a brief 7 days on the market, receiving multiple offers. The home was listed 7/17/09 for $1,699,000. The home closed on 9/11/09 for $1,766,000. According to the MLS, the home is a 3 bedroom / 3 bath, 2,187 sq ft of living space on a 7,690 sq ft lot. According to the public records, the last sale of this house was 12/27/07, where it sold in 15 days for $1,782,500. You can view the Virtual Tour Here. The remodeled Spanish house at 10538 Almayo Ave., LA CA 90064 received a price reduction of 6.06% or $100,000, down to $1,550,000. The property was listed 302 days ago for $1,800,000 and this is the 3rd reduction of the listing term. According to the MLS, the home is a 4 bedroom / 3 bath, 2,292 sq ft home on a 5,950 sq ft lot.